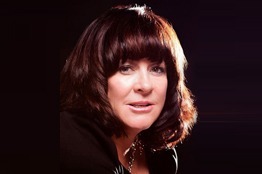 Debbie has been a stylist/colourist for over 30 yrs. She specializes in Balayage and creative & innovative colouring techniques. She has had extensive training including courses at Redken 5th ave NYC and Jingles Academy as well as studied with some of the industries top professionals such as Sam Villa, Beth Minardi, David Stanko & Patrick Mcivor. Debbie's belief in consistency, unique artistic ability and attention to detail along with her dedication to the needs of her guests are the key elements that set her apart.